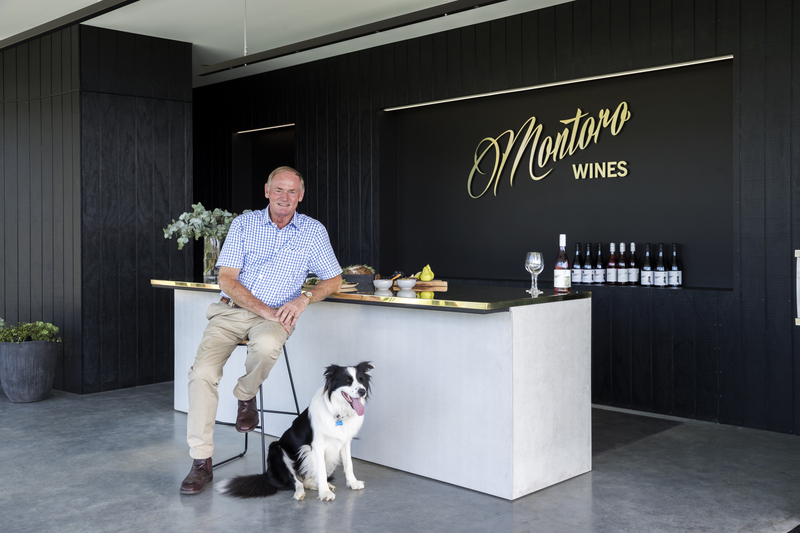 Montoro Wines is a young boutique winery based in Orange, which is finding significant success with its range of cool climate Shiraz wines. 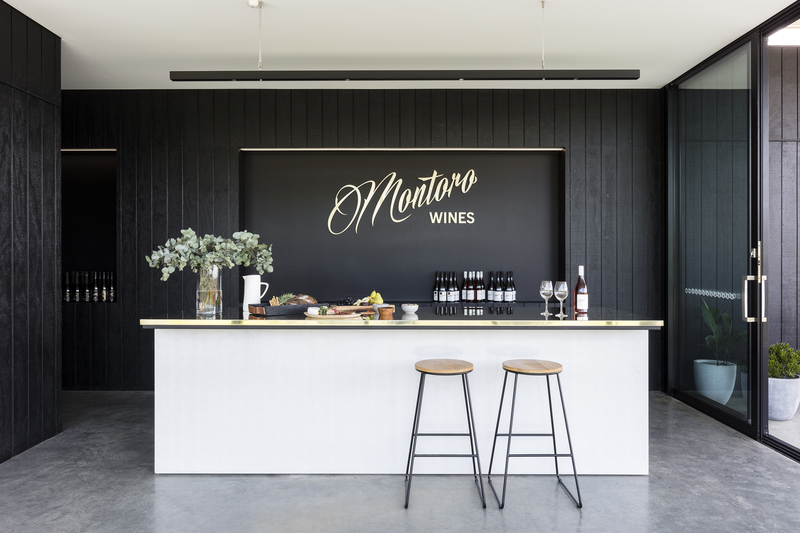 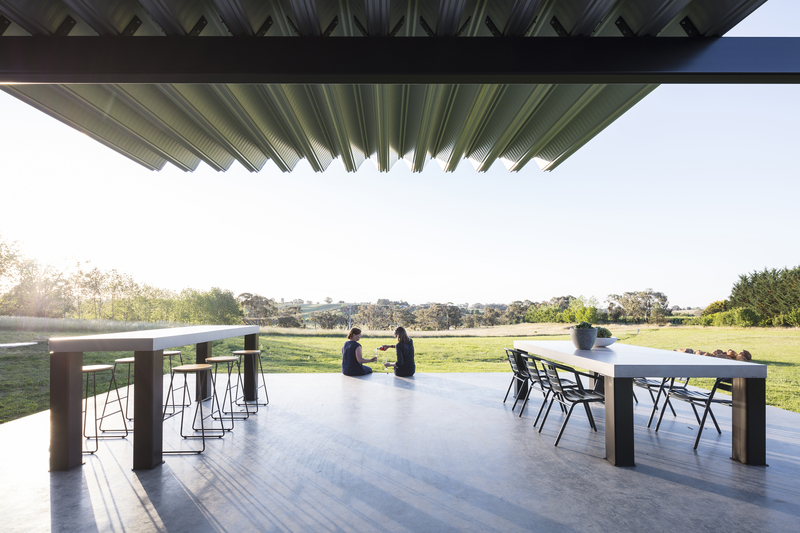 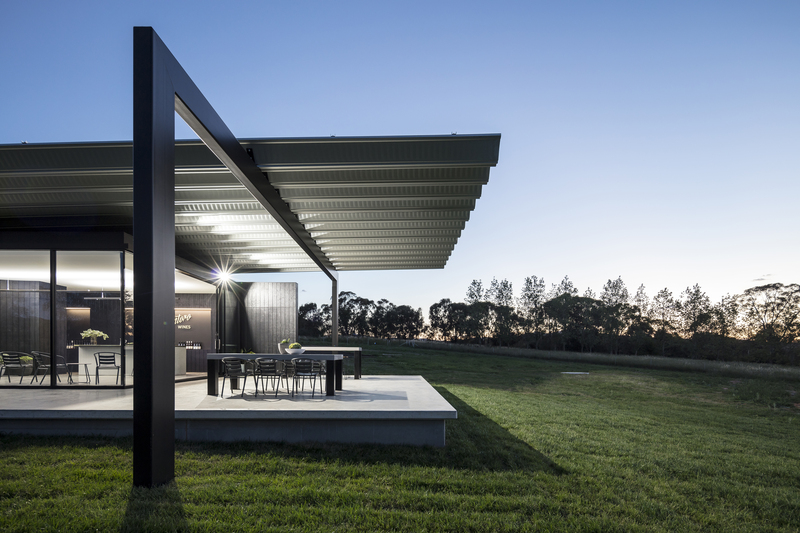 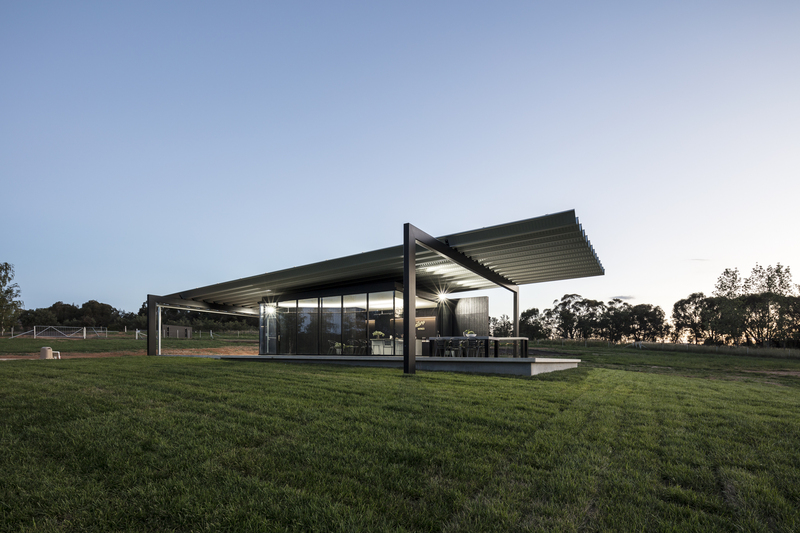 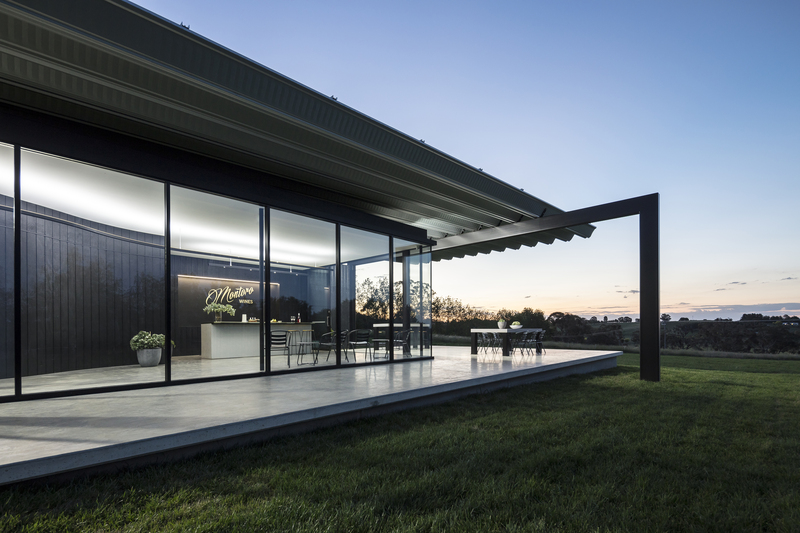 Encouraged by this success, the decision was taken to build a cellar door on Montoro’s Cargo Road property just outside Orange. 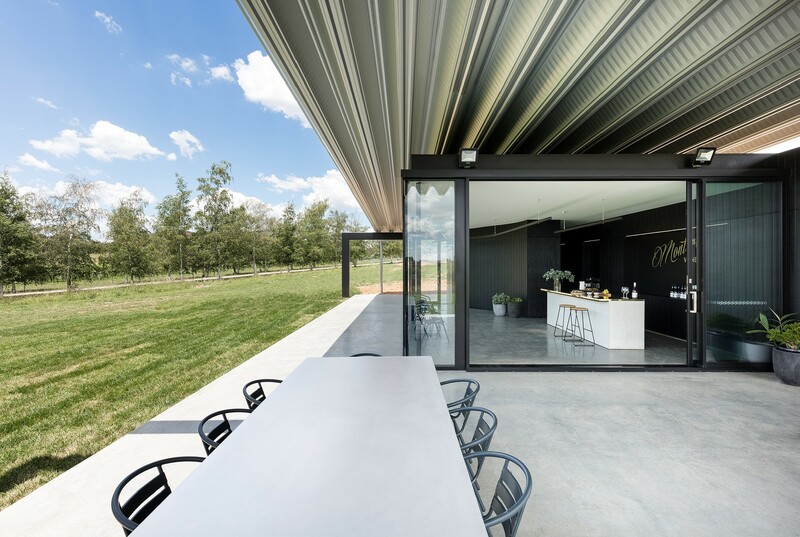 Conceptually, the building was conceived as a broad platform protected by an over-sized roof, sitting in a field of native grasses and wildflowers. 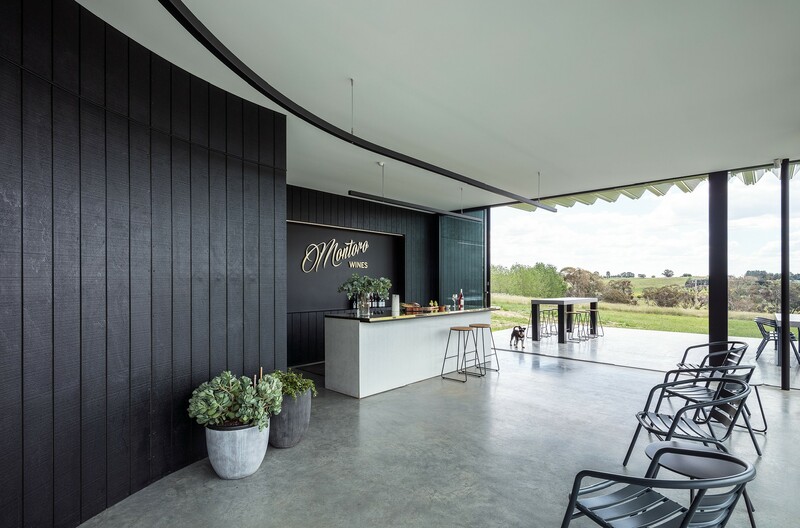 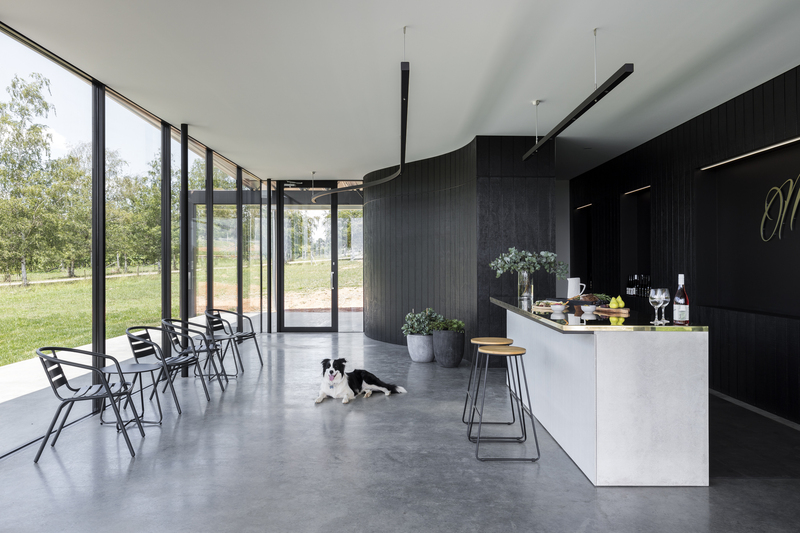 The service areas are planned into a sculptural blackened timber clad form with the tasting area occupying the remainder of the platform – the inside and outside a continuous space that bleed together. 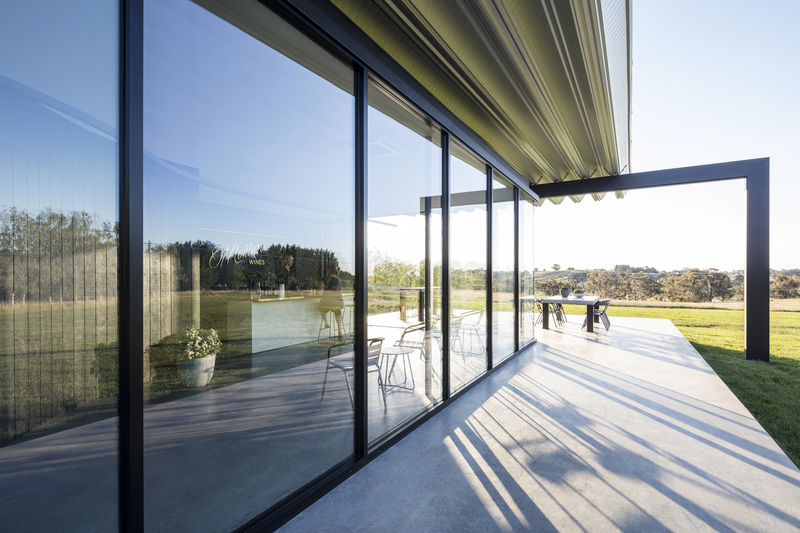 The layout seeks to encourage patrons to linger, to take up residence for the afternoon on the terrace or to sit on the edge of the platform and talk while kids play in the field beyond, and to generally be a part of the beautiful landscape that the building is sharing.